In part 1 of this three part blog on the treatment of patients with diabetic peripheral neuropathy (DPN) we discussed the economic impact of diabetic peripheral neuropathy, the pathophysiology of DPN and staging of DPN. In part 2, let's take a closer look at the history and physical exam of the DPN patient. 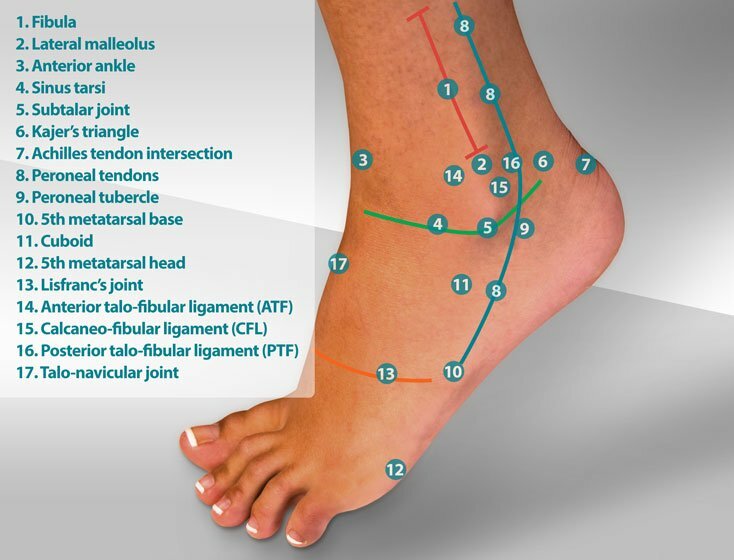 This post is intended to act as a treatment guideline for lower extremity health practitioners including podiatrists, primary care physicians, NP’s and PA’s. The objective of this post is to create a framework for a meaningful patient exam of patients with diabetic peripheral neuropathy. As a hospital based podiatrist, I see a lot of patients specifically for the prevention and treatment of symptoms of diabetic peripheral neuropathy (DPN). Clinic visits with diabetic patients suffering from DPN are an opportunity to assess lower extremity health in the patient and also provide important education to the patient. In this post I’d like to create a format for the history and physical exam of a patient with DPN. This history and physical exam format is specific only for patients referred for treatment of DPN. Let me first list the questions I use when taking a history of a patient with DPN. Second, we'll discuss the testing I use in the exam of a patient with DPN. Lastly, we’ll go into each history question and physical exam in detail. How well would you say you managed your diabetes once diagnosed? Have you ever used insulin? If so, how long have you used insulin? Do you know your most recent HbA1c number? Do you know how the HbA1c test works and why it is so important? Do your legs and feet hurt? Please describe your symptoms. 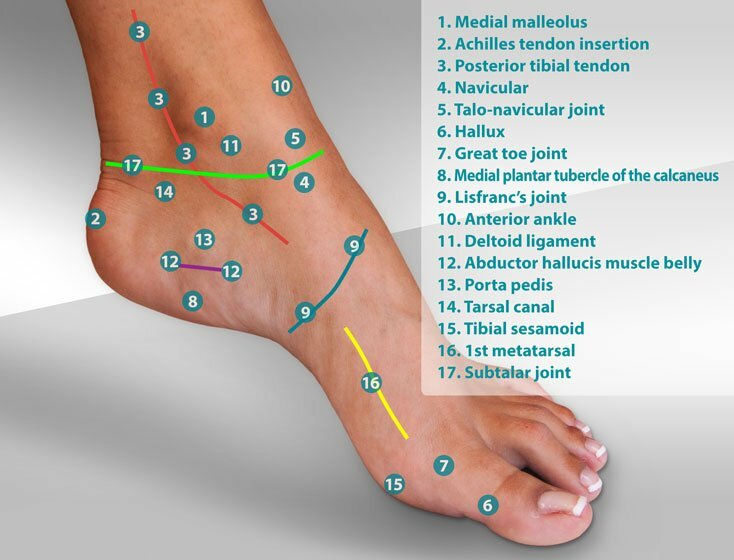 How long have you experienced pain in your feet and legs? On a scale of 1-10, how severe would you rate your pain? Do your symptoms of DPN keep you awake at night? Do you feel that you’ve lost sensation in your feet? Do you wobble when you walk? Do you need to hold on to furniture when you walk? How many times have you fallen in the past month? Do you have any history of lumbo-sacral disc disease, chronic back pain or back surgery? Do you use an insulin pump or continuous glucose monitoring device? What was your average blood sugar when you first started treatment? What is now and how quickly has it changed? First, let’s take a closer look at each of these history questions in more detail to understand the significance of their meaning and how they may affect the treatment of diabetic peripheral neuropathy. Second, let’s take a close look at the significance of each exam and why they may help to diagnose and treat peripheral neuropathy. At the heart of the patient’s diabetes journey is the duration of the patient’s diabetes, not just treatment of the diabetes but also the period of time prior to treatment. The period of time prior to treatment is often a lost opportunity. Perhaps the patient didn’t realize that they had diabetes or perhaps they didn’t act upon recommendations by a health care provider. It’s therefore important to document both the onset of the disease and the onset of treatment. How well would you say you managed your diabetes initially? This goes back to the onset of diabetes and the onset of treatment. I find this part of the history to be an opening to further discussion. It’s a point where the patient will get real with the conversation and usually admit that their initial response was denial of the disease and lack of initial treatment. This is a great opportunity for the patient and provider to bond over the ‘honesty’ of treatment. Past history of insulin use can be a topic that can help the provider understand two things. First, if a patient has a history of insulin use it typically means that they have a more extensive history of treatment. For instance, a prior hospital admission might have included the use of insulin while in the hospital. Secondly, prior insulin use might indicate another related change in the patient’s course of treatment such as weight loss. With significant weight loss or bariatric surgery, the patient might have been able to transition from insulin dependency back to using oral hypoglycemic medication exclusively. Optimization of blood sugar levels using insulin can be tricky but also can be very reliable. This topic provides an opportunity for the provider to understand any challenges that the patient might be having related to insulin use. How tuned in to their diabetes care is a patient? How much time and counseling does a patient get from their primary care doctor or diabetes educator? Understanding the importance of their HbA1c number tells a lot about past history of care. When a patient can clearly state that their most recent HbA1c was on December 5th and was 5.6%, you’ve got and informed and conscientious patient. Unfortunately, this is not very often the case. I tell my diabetic patients that the HbA1c test is the best thing ever. And I explain exactly how it works, tagging RBC’s at birth at the A1c molecule. Most patients nod their heads and agree that the science behind the HbA1c test is really interesting and want to understand more. My goal is to get the patient to focus less on daily blood sugar levels and more on their HbA1c numbers. Why do the legs of diabetic patients hurt? The differential diagnosis for lower leg pain in diabetics can include a host of different conditions. Knowing that our diabetic population is going to have multiple co-morbidities, you need to drill down on this topic to evaluate vascular status and past hx of chronic lumbo-sacral pain. 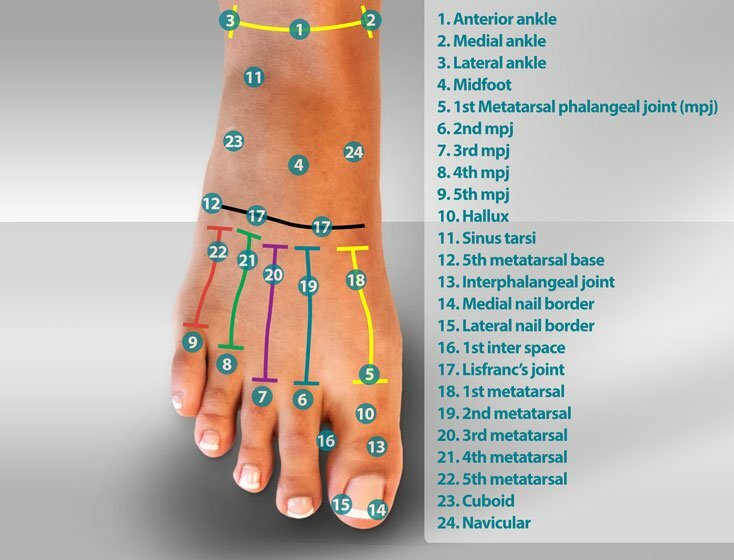 How long have you experienced pain in your feet and legs? Can you describe the onset? The correlation between onset and duration of diabetes and the onset and duration of diabetic peripheral neuropathy is poorly correlated. One would assume that diabetic patients with a longer duration of treatment would be more prone to DPN but this is not necessarily the case. In some cases, DPN can actually precede the diagnosis of diabetes. One of the classic symptoms of DPN is that the symptoms aren’t too bad by day while the patient is distracted by activities of daily living (ADL), but when getting into bed and trying to get the mind to relax, the symptoms of DPN rise to the surface, limiting the ability to fall asleep and stay asleep. This question is purposely subjective. As we move into the physical exam and perform a Weinstein monofilament test, I’ll fall back on this question. When you’re performing the Weinstein monofilament testing, if the patient cannot feel, have them open their eyes and visually see that they do indeed have loss of protective sensation. Do you wobble when you walk? Do you need to hold on to furniture? Instability of gait is often a symptom of loss of sensation in the feet. If you can’t feel your feet, you start to lose the ability to balance. Therefore, instability of gait is often seen with loss of protective sensation (LOPS) and DPN. Simply a way to quantify instability of gait and LOPS. When considering the differential diagnosis of DPN, lumbo-sacral disc disease will be often be considered a complimentary condition that can either complicate lower extremity pain or even be the primary source of lower leg pain. Lumbo-sacral pain will often be worse proximal to distal while DPN will be worse distal to proximal. Lumbo-sacral pain may also be uni-laterally worse while DPN is always bilaterally symmetrical in its pain. Lumbo-sacral pain is aggravated by activities such as standing while DPN is static and not influenced by activity. Lumbo-sacral pain can vary where one day it is a bit better while DPN is always consistent and often worse at night. Type 1 diabetics who are lucky enough to have an insulin pump will always be the folks who treat their diabetes like a trip to the grocery store. They'll bring a written list and can tell you accurate histories and detail their treatment history. I ask this question of all T1DM patients also as a motivator to see if we can move care in the direction of using a pump and continuous glucose monitoring. For many patients, this will be the first time that they have ever thought about treating their diabetes with more than just testing strips. Think of the treatment of blood sugar levels to be much like the treatment of hypertension. When you lower a patient’s blood pressure, you’re often going to see secondary changes to include somnolence, impotence and personality changes. The same can hold true in the regulation of blood glucose levels, particularly if those levels are decreased rapidly. Treatment induced neuropathy in diabetes (TIND) also called insulin neuritis, was first described in 1933. Recent studies indicate that more than 10% of diabetic may be affected by TIND at the onset of treatment. Rapid decrease of HbA1c levels, greater than 2% point over the course of 3 months will result in a greater than 20% chance of TIND. DPN due to TIND results in more severe symptoms of DPN that are more refractory to treatment. More on TIND in part 3 of these blog posts. Let’s take a little bit closer look at the physical exam of the patient with diabetic peripheral neuropathy, why each of these test are important and what they can tell you about DPN. Diabetes and vascular disease go hand-in-hand. My personal belief is that the primary effect on the lower extremity vascular complex in diabetic patients isn’t directly related to elevated blood glucose levels, but is actually secondary to renal disease caused by diabetes. This secondary effect results in decreased permeability of the artery (atherosclerosis) and hardening of the artery (arteriosclerosis). 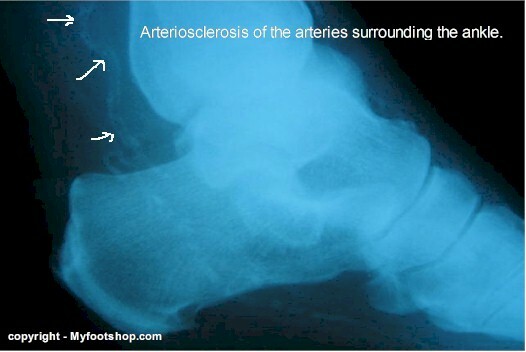 As we see in renal disease, the distribution of problem of the lower leg arterial system is worse distal to proximal. When problems do arise in diabetic patients, this makes revascularization very difficult. The classic radiographic finding in both renal patients and diabetic patients is Monckeberg sclerosis, as seen in this image. Diabetic patients progressively lose circulation that we can call a de-vascularization process. The way I describe the de-vascularization process to our residents is to compare the diabetic foot and cell structure to a healthy cell in a young, healthy patient. In the young, healthy foot, no one cell is more than three cells away from an artery. In this healthy scenario, cells have easy access to nutrients, oxygen and waste disposal. In the diabetic foot, individual cells need to survive sometimes 10, 20 or even 30 cells away from the artery. This ‘cell survival distance’ isn’t measurable but becomes apparent in wound care. In cases of DPN, the greater the cell survival distance, the greater the challenge for the nerve to function, subsequently, vascular compromise and renal disease is a contributing factor to DPN. There are a number of competing and perhaps complimentary theories that describe the onset and cause of DPN. These theories were briefly discussed in part one of this three part blog. It’s important to recognize the neurological symptoms of DPN and how they can be tested in the lower extremity. 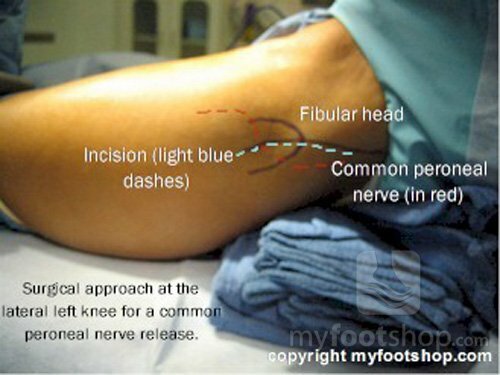 Learn the locations of the deep peroneal nerve, posterior tibial nerve and common peroneal nerves. Percuss with two fingers and when you elicit a tingle (paresthesia) distal to the percussion site, that’s called a Tinel’s sign. A single, isolated Tinel’s sign likely means that that one nerve is affected, perhaps a local entrapment, specific to that site. But multiple, symmetrical positive Tinel’s signs, at all three sites, are pathoneumonic for DPN. 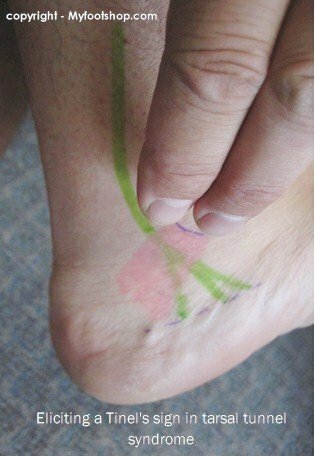 Deep tendon reflexes (DTR) should be measures during the exam of the patient with diabetic peripheral neuropathy but DTR's can vary with each patient. The physiological changes noted with DPN may certainly influence DTR testing, paticularly in patients with stage 3 DPN. The reliability of DTR as a measure of DPN in patients with DPN is low. Light touch is often diminished in diabetic peripheral neuropathy. Weinstein monofilament testing has become the gold standard of testing for DPN. Documentation of diminished light touch and changes in the patient's ability to sense light touch is an important part of the examination of the patient with diabetic peripheral neuropathy. DPN is often thought of as merely a sensory deficit affecting the patient in a stocking and glove distribution. But DPN in advanced stages can also affect the motor distribution of the peripheral nervous system. In the hands, you’ll see muscular atrophy of the interosseus muscles. In the foot, the most common symptom is a drop foot and steppage gait due to the motor loss of the tibialis anterior muscle. Muscle strength testing can help identify motor deficits secondary to DPN. DPN is also found in conjunction with an autonomic deficit in the peripheral nervous system. The most common symptom of diabetic autonomic dysfunction is dyshydrosis, or lack of perspiration. Dyshydration often presents with diffuse dryness of the foot and lower extremity. Calluses can be ticking time bombs in diabetic patients. Calluses, or what we call grade 0 ulcerations, cannot be felt in patients who have loss of protective sensation (LOPS). As a callus thickens, it places significant pressure on the underlying skin. What was once a protective layer of hard skin now becomes a chronic pressure point that will progressively and painlessly liquefy the skin under the callus. Neuromuscular exercises like toe raises and heel rocks are active measures of muscle strength and are used to assess motor loss in the lower extremity of the diabetic patient. When your exam finds calor to touch (hot foot) think Charcot arthropathy. Charcot foot, also known as diabetic osteoarthropathy, is a progressive neurological disease that results in the collapse of the midfoot or ankle. In the early stages of Charcot arthropathy plain films will be normal. The foot will be mildly swollen and hot to touch. Consider a prompt referral to podiatry in these cases. Expeditious treatment can save the foot and leg from amputation. Gait exam helps to assess instability of gait, a common symptom of DPN. This is also an opportunity to discussed fall prevention. In your gait exam, watch the patient for an inability to rise to their feet and balance. Do they reach for an adjacent chair or wall for support? The history and physical exam of the patient who is referred to you for assessment and treatment of diabetic peripheral neuropathy is a great opportunity to both treat and educate. An understanding of the important aspects of a thorough history can help build a lasting relationship with the patient. The physical exam is import in assessing the severity of DPN and LOPS. By doing so, an ongoing and effective treatment plan for DPN can be implemented and used to coordinate with primary care as they manage blood sugars. Your role in treating DPN and LOPS will be an effective part of amputation prevention. In part 3 of this three part blog, we'll discuss treatment of peripheral neuropathy.